First Friday: First Friday highlights Downtown and Southtown during the First Friday of each month. A themed pub-crawl takes place downtown while Southtown hosts street vendors selling local art and other handmade goods, local bands, and opens up local galleries in the area. Fitness in the Park: Fitness in the Park is a citywide program that offers a wide variety of free exercise and fitness classes all over San Antonio! Events take place us at local parks, community centers, and libraries. PechaKucha: PechaKucha is a storytelling event where local people use 20 slides, shown for 20 seconds each, to tell a story. These events started in Tokyo but now happen in over 900 cities around the world. Second Saturday: This event is an art walk featuring local artists, galleries, and musicians. The event is centered at Dorcol Distilling Company and features several galleries in the area. Be sure to grab a map so you don’t miss one. Siclovia: Síclovía is a free event that turns major city streets into a safe place for people to exercise and play.The streets become temporarily car-free for about 5 hours on Sundays for families to run, ride bikes, take exercise classes and enjoy their city streets. Travis Park: Travis Park, located in the heart of downtown, has a multitude of events throughout the year including dinners, fashion shows, movies, fitness classes, and food trucks. Be sure to keep up to date with the calendar! Trivia Night: San Antonio features several different trivia groups with events throughout the city including Geeks Who Drink and San Antonio Trivia. Worth Repeating: Worth Repeating is an event put on by Texas Public Radio. This event allows storytellers 7 minutes to tell a story within the month’s theme. This event is a great way to support the local community. Celebrate San Antonio: Ring in the New Year in Beautiful Downtown San Antonio! Experience the biggest New Year’s Eve celebration and fireworks extravaganza in Texas. With live music on three stages, carnival games and rides and delicious festival food, this downtown fiesta is the place to celebrate the New Year. San Antonio Cocktail Conference: Each January this cocktail festival brings together top bartenders and cocktail enthusiasts for educational seminars, guided tastings, and cocktail parties. One of a kind in Texas, and now in its seventh year, the San Antonio Cocktail Conference donates 100 percent of its profits to benefit children. Asian Festival: The Institute of Texan Cultures hosts the Asian Festival each year in February. What began as a traditional family reunion for the Chinese New Year has expanded to include other Asian communities and participants, showcasing their unique culture and traditions. The event features music, cultural performances, food, fashion, crafts and other products. San Antonio Stock Show & Rodeo: This event has grown to one of the largest, most prestigious single events in the city of San Antonio, with over two million visitors entering the grounds each February. While the Rodeo is the heart of this event there is also a concert afterward, fairgrounds, and all of the delicious eats you can imagine. Contemporary Art Month: Every March, during Contemporary Art Month (CAM), San Antonio artists, performers, and curators present the best our community has to offer art galleries, museums, performing arts spaces, schools, artist studios and various unconventional locations around the city. Murphy’s St. Patrick’s Day River Parade & Festival: This festival kicks off St. Patrick’s Day celebrations by dyeing the River Walk green followed by a river parade with floats filled with bagpipes and drummers, Irish step dancers, music, and Kelly singers. Green beer is sold along the route along with various activities and Irish food. Rivertini: The San Antonio River Foundation and U.S. Bartender’s Guild San Antonio host this premier cocktail competition each March. Not only will you get to sample some of the most creative cocktails in San Antonio there are also tasty hors-d’oeuvres and live music to be enjoyed along the Museum Reach of the San Antonio River. H-E-B Big League Weekend: H-E-B Big League Weekend is an annual two-game Major League Baseball spring training exhibition hosted at the iconic Alamodome in downtown San Antonio. In addition to the two games each year, there are several other events surrounding the weekend that make it special for any baseball fan. Fiesta: The festival began in 1890 as a single event, the Battle of Flowers Parade, to honor the memory of the battles of the Alamo and San Jacinto. Since that time Fiesta become San Antonio’s signature event. Fiesta is an extravagant 11-day citywide party that benefits local charities and organizations. The event consists of many parades, festivals, events, food, and drinks that all raise money for charitable local causes. This event takes place in April each year and is the one event you should not miss! Maverick Music Festival: The Maverick Music Festival brings La Villita to life! The event is held each year around April and has featured artists such as Bastille, Yong the Giant, The Naked and Famous, De La Soul, Minus the Bear, Carla Morrison, Book of Love and Small Black. Poteet Strawberry Festival: Poteet is recognized as the “Strawberry Capital of Texas” and each year in April the city holds a festival. In addition to strawberries, you can enjoy a variety of activities and musical performances. This event is the perfect way to celebrate spring. Valero Texas Open: San Antonio’s only PGA TOUR event. First played in 1922, the Valero Texas Open is the 3rd oldest PGA TOUR tournament. This event takes place in April each year on the AT&T Oaks Course at TPC San Antonio. Mega Mixer: The mega mixer is San Antonio’s largest networking event hosted by LOOP each year in May. Past events have been held at various museums throughout the city and always prove to be a great way to meet new people in San Antonio. Stay updated with LOOP for more information about this event which usually takes place in May. Texas Salsa Festival: The inaugural Texas Salsa Festival took place this May at Hemisfair Park. This event allows you to sample the best salsa in San Antonio along with authentic local cuisine, cold beer, aguas frescas, and live music. Alamo City Comic Con: Alamo City Comic Con Texas Premier to celebrate the artists providing entertainment to the public via comics, movies, TV, gaming, and cosplay. The event takes place at the Henry B. Gonzalez Convention Center. Lavender Festival: Take a day trip to Blanco for the annual Lavender Festival each June. Visit local lavender farms and browse the lavender market at the historic courthouse. The event also includes live music, food, and the finest local beer and wine. Folklife Festival: The Folklife Festival takes place in June each year at the Institute of Texan Cultures. The three-day event showcases the Lone Star State’s diversity and rich heritage through a wide variety of ethnic food, music, dance, arts, and crafts. Wine Stomping: Every August, in the heat of the Texas summer, wineries throughout Hill Country host wine stomping events. Most include some form of memorabilia, wine, and eats. You will need to plan ahead, but it is well worth your time. San Antonio Restaurant Week: San Antonio Restaurants are on display in August showcasing the finest Alamo City Cuisine. Restaurants offer special three-course prix-fixe menus for lunch and dinner at a discounted rate throughout the city. Ford River Race: Join over 90 canoe teams as they race down the River Walk in downtown San Antonio. The annual event is open to the public with special pricing for Boy Scouts and Girl Scouts. World Heritage Festival: The World Heritage Festival is an annual collaborative event to celebrate and promote our San Antonio Missions, a UNESCO World Heritage Site, and raise funds to preserve, maintain, promote, and connect. Jazz’SAlive: Jazz’SAlive is San Antonio’s official jazz music festival featuring award-winning national, regional and local talent with diverse styles of jazz. Guests will enjoy live music, festival food, local craft vendors, and more! Oktoberfest: Oktoberfest is held each October in downtown, Fredericksburg, Texas on Marktplatz. The Fest celebrates including German music, food and drink, artisans, children’s area and family fun. Oompah at its best! San Antonio Beer Festival: The Annual San Antonio Beer Festival includes over 400 premium and craft beers from more than 150 breweries from around the world. A portion of the San Antonio Beer Festival proceeds benefits the San Antonio Food Bank. Beyond beer, the San Antonio Beer Festival will also feature live music, interactive games, a wine garden, food trucks, food booths, local vendors and more. Dia de Los Muertos: The annual Dia de Los Muertos celebration takes place each October and hosts a variety of activities over the weekend celebration including the largest open altar exhibition in the city. Events are free and open to the public including live music at Arneson River Theater; original Day of the Dead art; living altar; dance, drum and puppet procession; live poetry and more! Luminaria: Luminaria is an evening public arts festival that draws over 30,000 people annually to downtown San Antonio to celebrate the arts. It takes place in November and is free of charge. Expect to be immersed in music, dance, film, literary arts, theater and visual arts. Ford Holiday River Parade: San Antonio comes to life during the holiday season and the Ford Holiday River Parade kicks-off the season with a parade on the San Antonio River with lavishly decorated floats including lights, costumed float riders, and holiday music. Rock’n’Roll Half Marathon: The Rock’n’Roll Marathon holds an event in San Antonio each year during the winter. 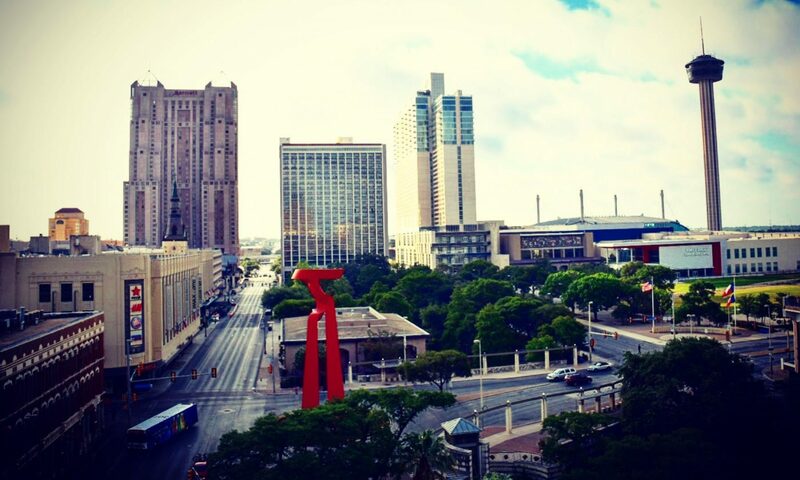 San Antonio’s mild winters and picturesque downtown serve as an ideal place to run your first marathon, half-marathon, 10k or 5k. Not a fitness junkie? There are always volunteer opportunities! Tamale Festival: This event takes place each December at the Pearl. Guests can find the best tamale makers in San Antonio along with live music performances and other activities. Valero Alamo Bowl: Since its inception, the organization has also served as the local host for 11 neutral site games including last year’s Notre Dame vs. Army game. For the fourth straight year, the Valero Alamo Bowl will again feature the #1 teams from the Big 12 and Pac-12 conferences after the College Football Playoff.